Well, much to my surprise, I have just managed to get the next big Essex Wood painting finished before we start setting up for the Lexden Arts Festival tomorrow. It is not a very good photo – I think the camera struggled with the yellow-greens and violet-blues, but it gives a bit of an idea. The light has been difficult for photography today, as we have had violent hail storms interspersed with brilliant sunshine. 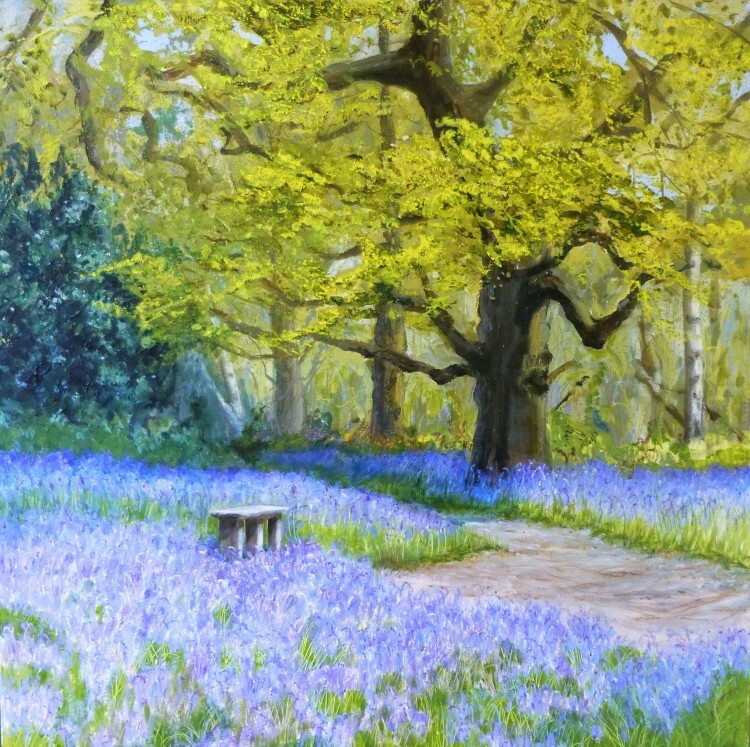 I will re-do this when I can do it outside, as the bluebells look nothing like the colour I painted them!